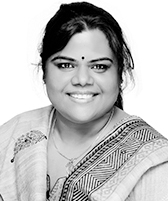 Avtrade is pleased to announce the appointment of Sheeba Sreekumar as Business Services Manager. A Master in Business Administration with specialisation in Supply Chain and Quality Management, Sheeba joined Avtrade’s Dubai office in 2010 as a Sales Coordinator, quickly becoming a valuable member of the team. Promoted to Business Services Manager, Sheeba will be responsible for the day to day management of office related activities for the Dubai, Singapore and new Guangzhou office. She will also be responsible for HR related tasks for the Middle East and African regions and assist the Director of Contract Management with employment contracts. Undertaking market research and intelligence, Sheeba will also continue to assist Jamie Brooks, Avtrade General Manager based in Dubai.